Hussmann provides tailored food safety solutions designed to improve food quality and integrity. As the manufacturer of refrigerated display cases and systems, they have to maintain the highest performance and quality standards of the products they develop. 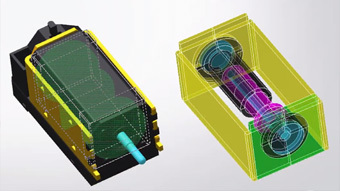 Using Altair solutions helped them reduce their product development time by 20 to 30% with the CFD Thermal solutions successfully addressing even the most complex problems in challenging areas that were faced in product design analysis and CFD. 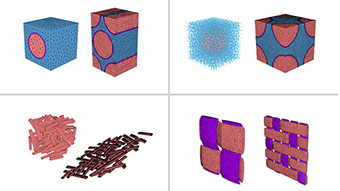 Multiscale modeling of composite materials has become a viable solution to reduce the amount of physical testing needed for accurately material characterization and to better assess the nonlinear material behavior and failure mechanisms in structural analysis. 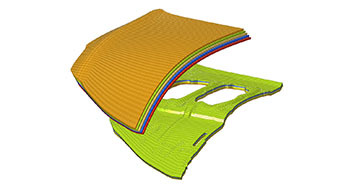 Whether you are working with high-performance continuous fiber-reinforced composites, injection molded short fiber, or even reinforced concrete, Altair Multiscale Designer provides accurate, efficient solutions for the development of multiscale material models and simulation parts manufactured from heterogeneous materials. 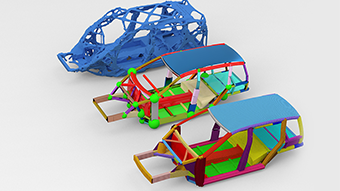 This webinar gives an overview of Altair Multiscale Designer capabilities including new features now available in the latest release. 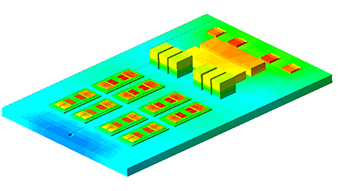 Altair ElectroFlo™ is a fully featured and efficient thermal analysis software that combines the power of coupled thermal/electrical analysis with the ease-of-use of an object oriented GUI to provide solutions to challenging problems facing today's electronics analysts and designers. 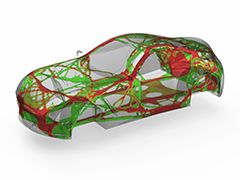 Find out how Altair ESAComp enhances the capabilities of the Altair HyperWorks platform by providing classical analyses of structures made of layered composites. Altair ESAComp is used from preliminary and detailed design phases to advanced analyses for the final design verification. 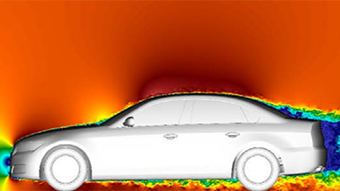 Thanks to its ability to interface with widely-used finite element software packages, Altair ESAComp fits seamlessly into design processes. This webinar gives an overview of Altair ESAComp capabilities including new features like delamination analysis. 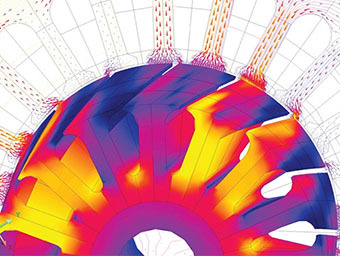 Altair FEKO is a leading comprehensive electromagnetic analysis software package, which is widely used in many industries and built on state of the art computational electromagnetic techniques to provide users with solutions to a wide range of electromagnetic problems. 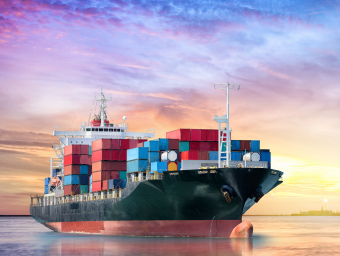 FEKO has been applied extensively in both commercial marine and naval applications to solve a wide range of EMC problems including antenna coupling and co-site interference analysis, cable coupling and radiation analysis and radiation hazard (RADHAZ) zone analysis. 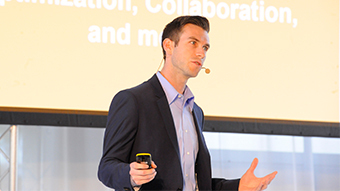 Altair Inspire enhances the concept development process by enabling simulation-driven design to increase your product's efficiency, strength and manufacturability. Mabe is a Mexico-based international appliance company designing, producing and distributing a wide spectrum of home appliances such as washing machines, dryers, cooking ranges, refrigerators, air-conditioners, microwaves, etc. 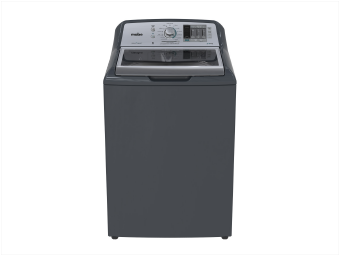 Altair technology has enabled Mabe to increase the capacity of their washing machines by 35%, and the spin speed by 24% while reducing the cost per cubic foot by 10%. What are the Concept Challenges? 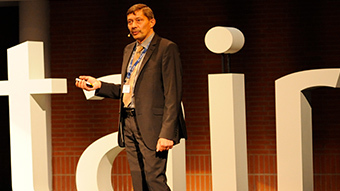 See how the C123 process helps you to find concept challenges. 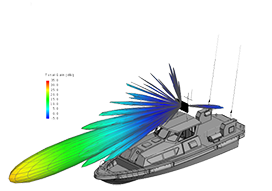 Altair manufacturing simulation tools have received an extensive amount of development efforts to expand their simulation capabilities. Altair SimLab is a process-oriented modeling software with the features and flexibility to address the complex needs of simulation teams. This webinar covers how Altair SimLab 2018's streamlined workflows and feature capabilities can address common pre-processing challenges in highly complex models, enabling your team to focus on analyzing results rather than cleaning up mesh. 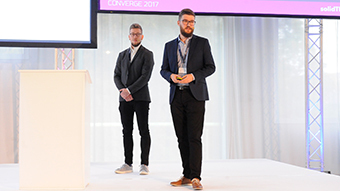 Optimisation of a Collapsible Economic Container “COLLAPSECON"
At the forefront of innovation at CEC Systems is the world’s first semi-automated Collapsible-Economic-Container. Achieving a 4:1 ratio, COLLAPSECON® enables 4 empty containers to be collapsed and combined to form a single container, improving operational efficiency, enhancing return on investment and reducing the impact on the environment. 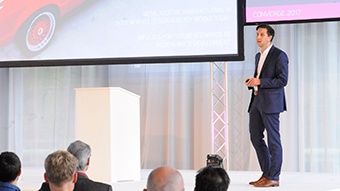 For the design for mass production and optimal operational use, the Altair HyperWorks Suite was leveraged to find solutions for weight reduction without increasing manufacturing costs. 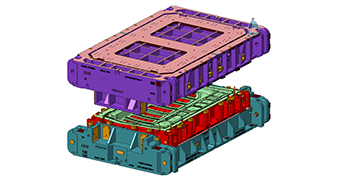 The newly engineered container is potentially 30% lighter than the original design, whilst reducing material requirements, increasing manufacturing efficiency, and reducing cost. For a competition launched for the Museum of the 20th Century, Zaha Hadid Architects re-invented a similarly radical approach by applying new advances in technology to generate structural and architectural expression. 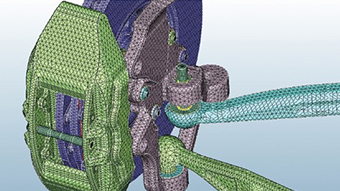 With Altair’s assistance, they created a plug-in for their design tool, enabling topology optimization. 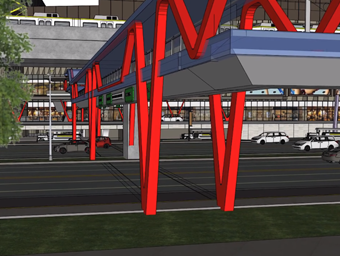 Altair HyperMesh was used for finite element preprocessing mesh generation, with Altair HyperView providing post-processing and visualization solutions. Structural analysis solver Altair OptiStruct provided advanced analysis and optimization algorithms. This brochure highlights the features, benefits and the steps that are involved in the metal extrusion simulation under Altair Inspire Extrude. 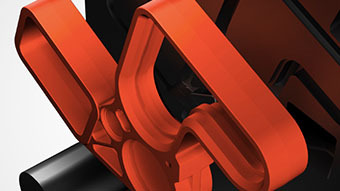 This brochure highlights the features, benefits and the steps that are involved in the polymer extrusion simulation under Altair Inspire Extrude. 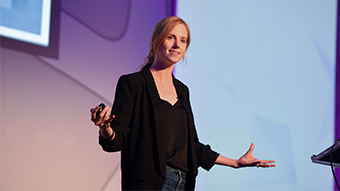 This webinar will address many aspects of the Altair Startup Program including Altair's services, IoT and connected products, the Altair solution portfolio, and customer success stories. 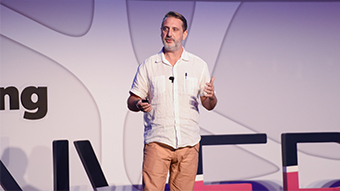 This webinar was recorded on August 2nd, 2018. 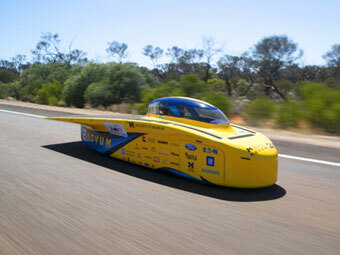 See how Altair's Software is used to get University of Michigan's solar car, Novum, to the next level to compete in the World Solar Challenge in Australia and the American Solar Challenge - crossing an entire continent in both cases just on the power of the sun alone. In this white paper, we present the innovative commercial GPU-based Computational Fluid Dynamics (CFD) solver Altair ultraFluidX. 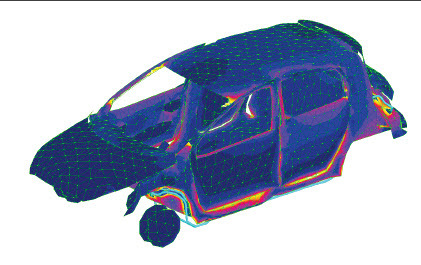 This work features simulations of the DrivAer model, a generic, publicly available vehicle geometry that was developed by the Chair of Aerodynamics and Fluid Mechanics at the Technical University of Munich and which is widely used for testing and validation purposes. The DrivAer model features rear end, underbody designs, and underhood flow. This model was then used to perform both wind tunnel tests and numerical simulations of the 40% scale open cooling geometry using perforated aluminum sheets with different opening ratios to mimic different radiator properties. Within, we will compare some of the results from these wind tunnel tests with numerical results obtained with Altair ultraFluidX. Altair Inspire Cast brochure highlighting the features and benefits of this powerful casting and manufacturing simulation solution. Altair Inspire Form brochure highlighting the features and benefits of this powerful form simulation solution. 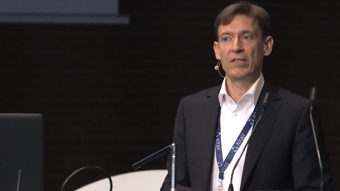 Dr. Jan-Philipp Fuhr - Managing Partner, Cikoni talks about developing a methodology to analyze and predict composite matrix and fiber failure using Altair OptiStruct and Multiscale Designer resulting in improved accuracy and simulation efficiency of their simulations. Learn about the semi-automated motorcycle crankshaft modeling process developed at BMW Motorrad based on Altair's pre- and post-processor SimLab. 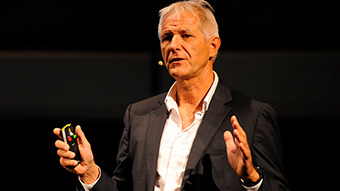 The scripts developed take the FE model generation time down from 2 weeks of manual work to half a day. 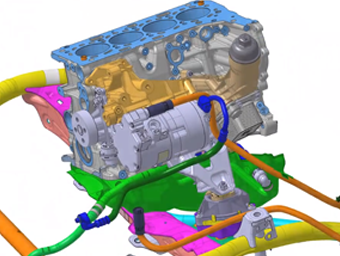 This webinar shows Altair's streamlined thermal fluid-structure interaction workflow for powertrain components. 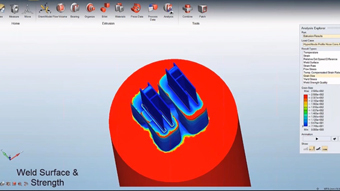 Leveraging Altair's CFD and structural analysis solvers, SimLab now offers a streamlined workflow that enables pre-, solver, and post-processing for thermal FSI within a single interface. 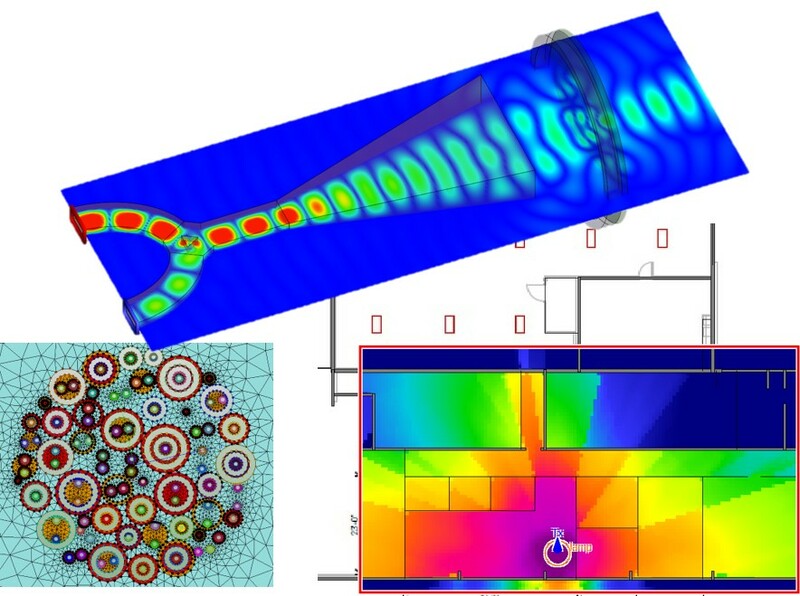 The webinar will cover extraction of fluid surfaces to build CFD domains from solid bodies, defining loads and constraints, solver setting for conjugate heat transfer (CHT) and computing deflections and thermal stresses and post-processing structural and thermal-flow results. 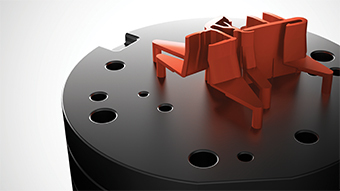 Ford Otosan in Turkey designs big stamping dies with the help of topology optimization using OptiStruct. Weight savings of 20% were possible on their first attempt to try optimization on a new stamping part. For large aerospace assemblies in finite element (FE) analysis problems, contact interaction between the surrounding bodies has to be established to simulate the load transferred between the components, like aircraft engine carrying bracket assemblies, spigots assemblies etc., and understand the effects of interaction between respective parts. In some cases, depending upon geometry of the assembly, the region of study may not be contact area but the stresses acting within the parts themselves. If there is no geometric or material non-linearity in such problems, a new contact formulation method known as Fast Contact can be used in these contact regions. Vehicle-to-vehicle (V2V) technology has the potential to significantly enhance driver safety. The type, placement, and orientation of V2V antennas all affect the performance of the communication system. 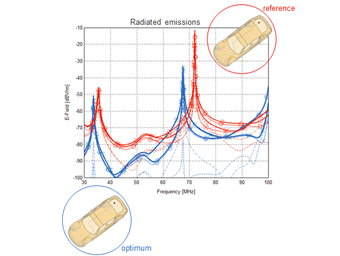 Simulation software for high frequency electromagnetics can be used to analyze the farfield effects of various vehicle antenna configurations without the need to perform physical testing. 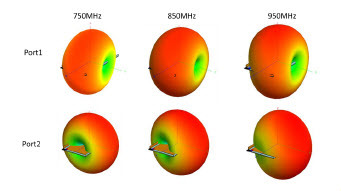 We present a simulation-based method for optimizing the placement and orientation of a monopole antenna on a vehicle using a Global Response Surface Method (GRSM). This white paper presents and discusses practical examples of communication simulations involving Multiple Input Multiple Output (MIMO) technology. Two workflows exist for MIMO simulations in WinProp; this note discusses the workflows, and presents an example with relevant results for each. 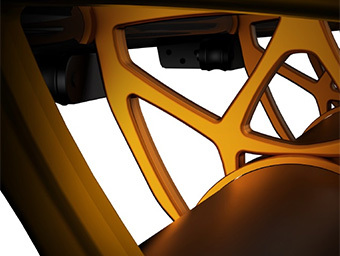 Oftentimes, in the design of a casting, suboptimal structural concepts are developed which at the same time are not castable, requiring multiple and time-consuming design iterations. This paper describes a process to generate both structurally efficient and also castable parts, while reducing the overall design cycle time. The optimal structure is determined by topology optimization, reducing component mass while maintaining performance requirements. This step is followed by a design smoothing operation and then by a casting simulation to check for casting defects. 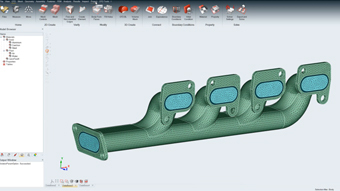 To demonstrate this software driven product design and process validation, solidThinking Inspire® is used to develop the concept design and Click2Cast® for casting process validation. This paper gives a technical review and guidelines for positioning the current capabilities. Note that the following uses OptiStruct version v2018. There have been some changes to the discussed algorithms compared to previous versions. Generally, version 2017.2.3 can be used to reproduce all the presented results. 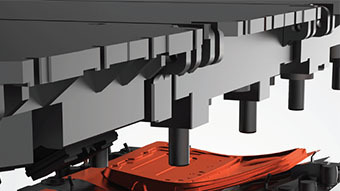 Snap-fits are ubiquitous engineering features used to quickly and inexpensively assemble plastic parts. The geometric, material, and contact nonlinearities associated with snap-fit problems can present modeling challenges. Quasi-static solutions with explicit solvers are commonly used to analyze snapfits; however, OptiStruct’s nonlinear solver now possess the ability to solve these highly nonlinear problems implicitly. The first part of this study discusses an effective approach to using OptiStruct for the implicit finite element analysis of snap-fits. Once an accurate simulation model has been created, engineers typically make design changes in order to achieve desired insertion and retention forces. 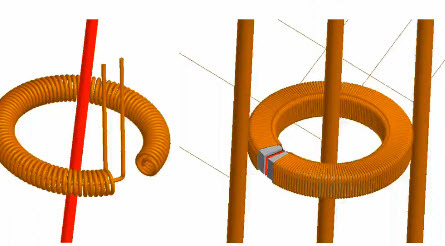 The second part of this study details how HyperMesh morphing and HyperStudy can be used to optimize the snap-fit design, resulting in desired insertion and retention forces while minimizing mass and ensuring structural integrity. The approach documented in this report can reduce the design time, material use, and failure rate of snap-fits used in industry. In recent times there is a high demand for lightweight automotive components which will reduce oil consumption and emissions. The components that are under non-linear load conditions would need optimization techniques that would yield a design which satisfies all performance targets and at the same time maintains the process efficiency with respect to time and cost. 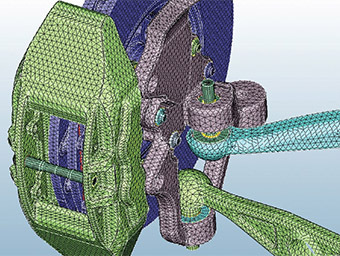 The use of CAE tools such as Altair’s OptiStruct and HyperWorks allows engineers to explore various design solutions starting from concept level to matured design that meets multiple requirements simultaneously with due consideration of manufacturing methods that allows engineers to arrive at an optimal design and process. equation (ASCE 7-10), and CFD. This white paper presents a study of wireless connectivity of electronic devices in the Wi-Fi band. For accuracy, the analysis will use the full polarimetric information for each device’s antenna pattern. The study focuses on wireless connectivity between lamps and light switches in an indoor environment, with the goal to set guidelines for spacing between transmitters and receivers: wall-mounted switch boxes and ceiling-mounted lamps, as well as pairs of lamps. In general, the work flow would be similar for any type of wireless connectivity in environments such as a smart home, an industrial site, as well as streets and intersections (vehicle-to-vehicle or vehicle-to-infrastructure communication). of active research; particularly for aerospace applications. 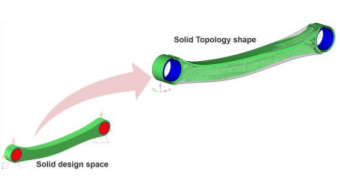 The paper presents a coupled fluid and structure approach to topology optimization using two commercial finite element solutions; AcuSolve and OptiStruct. A gradient based method is used to minimize the compliance of a structure subject to thermal loading. 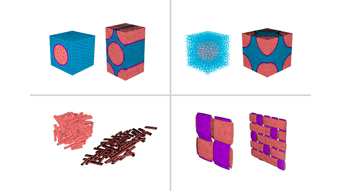 The optimal material distribution to minimize compliance is computed using the Solid-Isotropic Material with Penalty (SIMP) method available in OptiStruct. A volume fraction constraint is imposed in order to iteratively reduce the parts mass. Draw constraints are used to ensure manufacturability. The thermal loading is computed iteratively using a computational fluid dynamics (CFD) solution from AcuSolve. The optimization produces an innovative design which increases the heat rejection rate of the part while reducing the mass. complex system. For this purpose an automotive seat design for crash loadcases is selected. This paper describes the process of using Altair tools such as Flux for synchronous permanent magnet motor EM FEA analysis and HyperStudy to minimize the weight of the NdFeB magnets of a typical IPM motor for electric traction application such as the IPM motor of the Toyota Prius 2010. 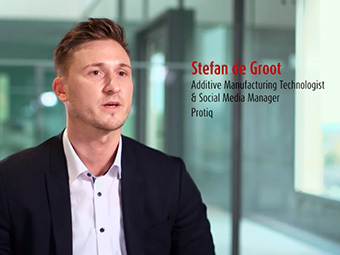 Multiscale Designer can help achieving more accurate and cost saving results by looking into the individual constituent of composite materials. The tool is well suited for woven, short and long chopped fiber composites and integrates with Altair's solvers OptiStruct and RADIOSS, as well as other commercial codes. As part of educational programs for students to acquire practical skills and knowledge, Aichi University Technology (AUT) participated in a demonstration test competition aiming for future Mars exploration. 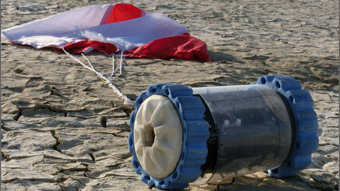 A Rocket Launch for International Student Satellites (ARLISS), is a competitive event for the evaluation of autonomous robots – conducting tests relating to their autonomous descent back to the ground after being launched 400m above the ground using a small rocket. For the final designed robot, HyperWorks was used for structural analysis to understand whether or not the robot meets requirements, and MotionSolve was extremely useful for practical industrial education that is linked to CAD design. 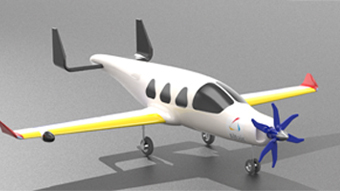 This webinar gives an overview of HyperWorks’ aerospace solution for model-setup, composites modeling and efficient reporting. The popular matrix browser for easy data extraction and advanced post-processing is also covered. r S Vinoth Kumar from Indian Institute of Technology Kanpur received an honorable mention in the 2017 Competition for his entry. 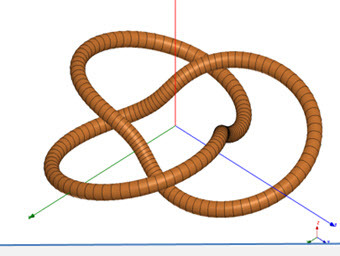 Knots find interesting applications in various field of electromagnetics. 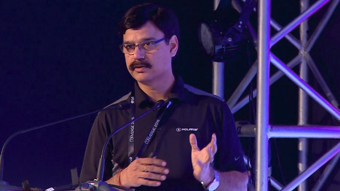 In Mr Kumar’s work a dual-polarized knot antenna is designed and optimized completely using features of FEKO. 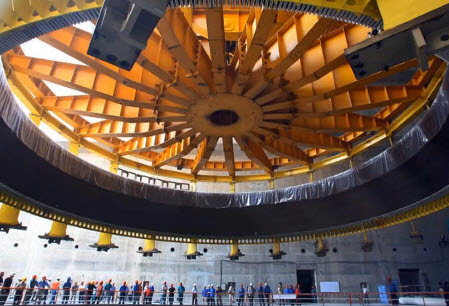 The proposed structure is fabricated and its performances are compared with the simulation results obtained from FEKO. Ms Ke Li from Xidian University, China received the prestigious title of winner in the 2017 competition. This winning entry covers a dual multiple-input, multiple-output (MIMO) antenna design for a smart phone operating in the LTE 13, GSM850 and GSM900 bands. 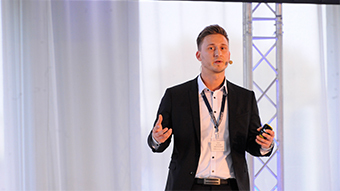 Andras Tanos, R&D Engineer at FemAlk ZRT, talks about how they have used Altair solutions for topology optimization of an engine part. 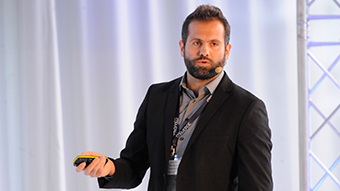 In this interview recorded at JEC World 2018, Atanas Zhelev, Chief Architect and co-founder at Digital Architects Ltd., talks about the innovative use of composites for organic architecture. Composites offer designers the ability to create a material and engineer its properties to resist particular load cases and environments. Such infinite possibilities can be daunting and a big step away from the more conventional way of working with a material having a known set of characteristics. It is here that architects and structural engineers can be aided by Altair’s software, such as ESAComp, now available as a standalone product in Altair HyperWorks advanced simulation and optimization software suite, to produce efficient, stable and durable composite structures. 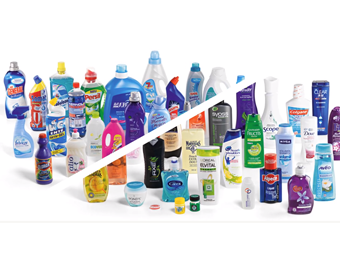 Alpla develops and produces packaging solutions for consumer goods. 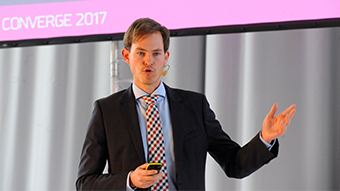 Christoph Plankel, Head of Modeling and Simulation Department at Alphla, discusses how they have used simulation to produce lighter packaging without compromising on performance. Photovoltaic specialist Thesan, a subsidiary of global manufacturer Savio S.p.A, manufactures, and distributes mounting structures, consisting of a so-called Purlin, a Rafter, and a Pole (and Hat), designed to withstand potentially occurring loads from wind and snow, as well as dead loads. 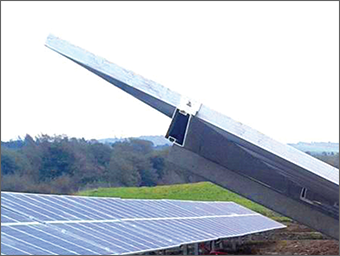 Drawing on the Savio Group’s competence in the design of steel and aluminum structures and thanks to a team of over 40 engineers, they are to satisfy every construction requirement of photovoltaic power plants at all altitude and climatic conditions, using any specific fixation requirements. 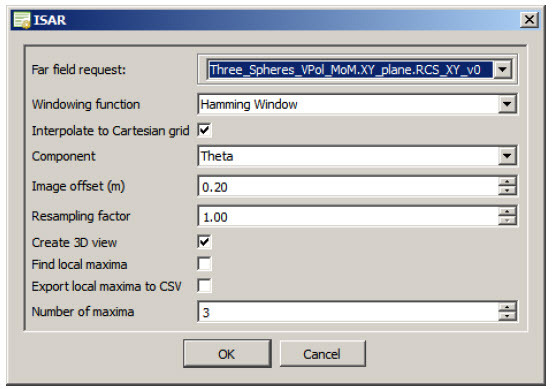 For a recent project requiring optimization of a mounting structure of a medium sized PV field with a power of 5 MW, engineers used HyperWorks. The benefits included reduced material usage, reduced manufacturing and transportation costs and improved competitiveness for Thesan. 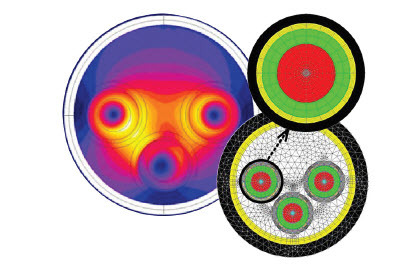 A multi-disciplinary optimization (MDO) approach allows you to explore all design requirements simultaneously and achieve lighter products, faster. Until now, enabling this process on live vehicle programs has been a challenge. 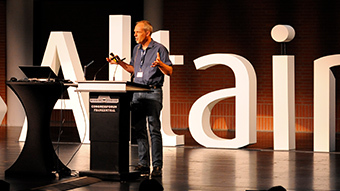 Altair's MDO Director is a novel set of software tools that provides a process to rapidly set up, execute, post-process and explore the design of MDO problems. 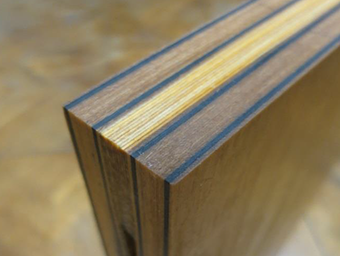 Composites offer designers the ability to create a material and engineer its properties to resist particular load cases and environments. Such infinite possibilities can be daunting and a big step away from the more conventional way of working with a material having a known set of characteristics. 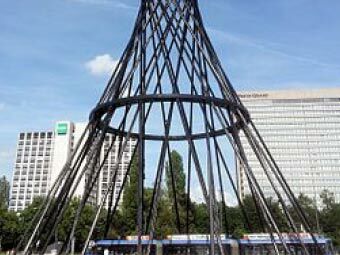 It is here that architects and designers can be aided by Altair’s software such as ESAComp to produce efficient, stable and durable composite structures. 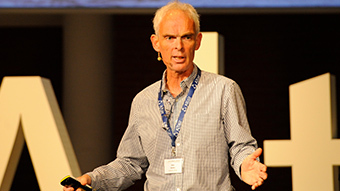 In this webinar we will show how computer simulation is being used to help packaging companies predict design behavior and response, and prevent product failure when subjected to various conditions. 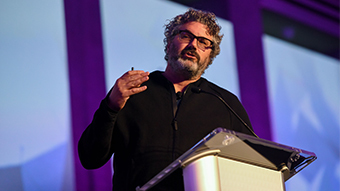 Many companies typically think they do not have the time, resources, or funds to implement simulation into their product development. 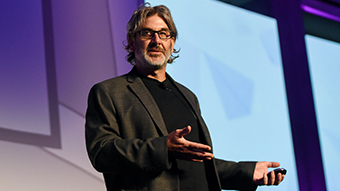 On the contrary, the well-documented ROI secured from implementing successful simulation strategies can help drastically increase profit margins. 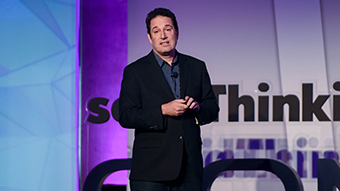 This webinar was recorded on April 26, 2018. 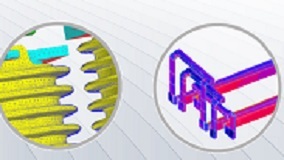 SimLab is a process oriented, feature based finite element modeling software that allows you to quickly and accurately simulate engineering behavior of complex assemblies. SimLab automates simulation-modeling tasks to reduce human errors and time spent manually creating finite element models and interpreting results. 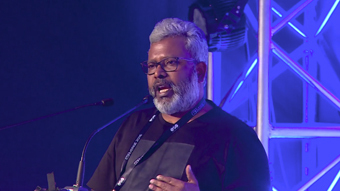 SimLab is not a traditional off-the-shelf pre- and post-processing software, but a vertical application development platform for capturing and automating simulation processes. 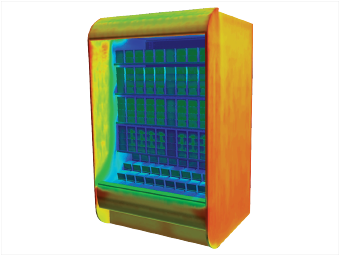 Capitalizing on 35 years of innovation in the global context of design optimization and time-to-market reduction, Flux finite element software provides solutions to low-frequency electromagnetic and thermal simulation problems. Flux includes an open and user-friendly interface that is easily coupled with other Altair software to address Multiphysics problems for a variety of systems in 2D, 3D and Skew modeling situations. 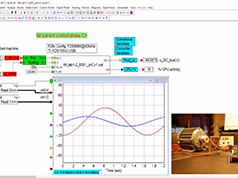 FluxMotor is a flexible open software tool dedicated to the pre-design of electric rotating machines. 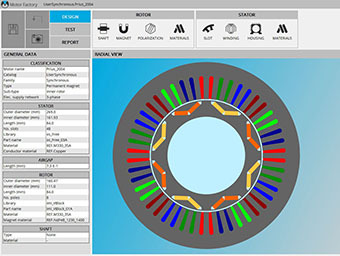 It enables the user to build a machine from standard or customized parts, add windings and materials to run a selection of tests and compare results. Based on modern technology, the standalone platform offers fast and accurate computations. 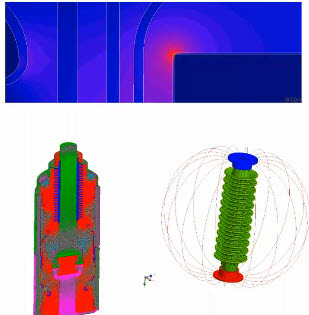 When necessary, connection with Flux finite element software enables more advanced studies, taking into account more complex phenomenon. 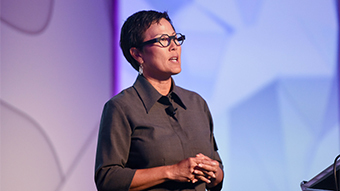 solutions to address these challenges for low and middle frequencies. software to answer these challenges. From conventional to renewable energy and large-scale power plants to in-house systems, energy generation has to be efficient and sustainable to supply the grid and support different needs. Aging transmission infrastructure has to be modernized to deliver electricity more reliably and efficiently. 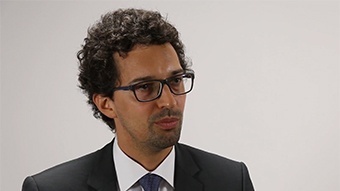 Asset owners of the ecosystem such as manufacturers, service providers, and government offices have to consider the multiple challenges around energy transmission. From power plants that regulate their power output, to the coordination of centralized and decentralized energy supplies and fluctuations in power needs - Smart Grid is gaining importance and is expected to provide on-demand management. 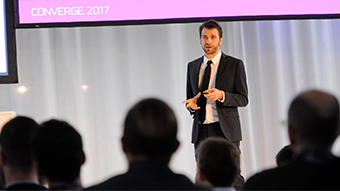 In this webinar we will be presenting the exciting features in the new FEKO 2018 release. 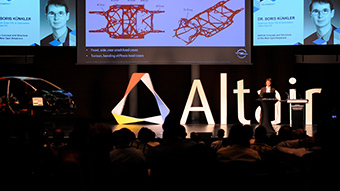 To overcome the challenges of developing a vehicle architecture shared across a range of electrical vehicles, National Electric Vehicle Sweden (NEVS) leveraged Altair’s unique three stage concept development process, C123 using a combination of optimization technologies, design processes and engineering expertise. 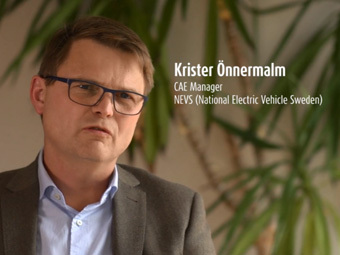 National Electric Vehicle Sweden (NEVS) leverages use of the Altair Squeak and Rattle Director in identifying and minimising risks of interior noise in electric vehicles. The script computes and displays an inverse synthetic aperture radar (ISAR) image from backscattered radar cross section (RCS) data over frequency and angle. Windowing functions, resampling and extracting the local maxima positions to file are supported. The script requires a far field RCS request or far field RCS data imported from a file containing far field data (a .ffe file). Data imported from a .ffe file must be added manually to a 3D view. 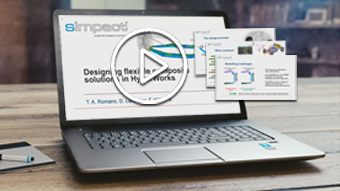 Flux is now fully part of HyperWorks and thanks to our flexible HyperWorks Units, users are now able to access even more tools that will help you to save time in your designs and enable powerful simulations. Flux embeds its own pre-preprocessing tools but designers sometimes need to deal with complex 3D geometries generated by their CAD team. The electric motor design process can be long and tedious. 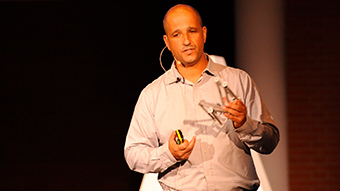 Modern design tools enables designers to quickly evaluate and compare machine techinical-economic potential. 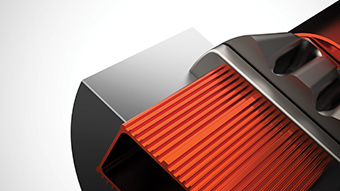 Discover how FluxMotor can radically change the way machines are designed, through each stage and be able to use standard or customized parts, add windings easily and quickly attribute materials before computing its performance. See how easy it is to use the Optimization SDK in other applications. 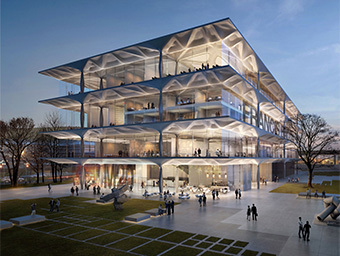 Atanas Zhelev and Mariya Korolova (Digital Architects - Vienna, Austria) and Daisuke Hirose (Archicomplex - Tokyo, Japan) made a design proposal for the Architecture competition for a bid at the Varna Library in Bulgaria. 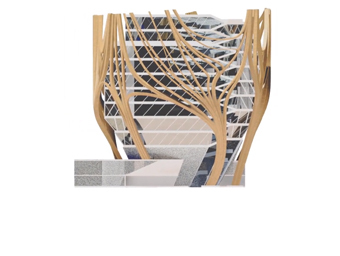 Their proposal features a composite of birch wood and carbon fiber laminate which got structurally designed with ESAComp. This video gives a short introduction to the project. Short video describing the design and production of a design chair by Architect Atanas Zhelev (Digital Architects, Vienna, Austria). 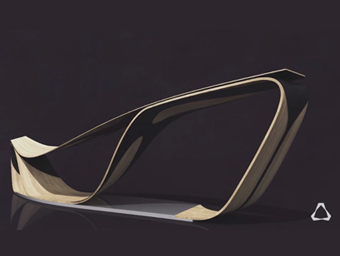 This design piece demonstrates the feasibility of his Active Grid Monocoque System (AGM) he uses in his work for highly curved, wide spun architecture. The analysis has been done with Altair products, foremost ESAComp and OptiStruct.